Acquainted with the man who would be Rebuilding Hope’s founder and pleased with the camaraderie he later observed at the ministry, Billy Ayscue decided where to offer his time and talents. “I knew Randolph Wilson before he started RHI and knew of his out-of-state trips to assist people with storm damage,” says Billy, now an eight-year RHI volunteer. “Several years ago, I was looking for something to do when other activities were winding down,” he says. On a trip to donate some building materials at RHI’s old location on Oliver Drive, Billy says Randolph shared with him how he wanted the ministry to help meet housing needs in Vance and surrounding counties. On another trip to RHI, Billy says he noticed the good-natured way volunteers were going about setting up a tent that would serve as a heated space for men’s prayer group meetings. The ministry “provides an opportunity to spend time in the company of Christian men and to be a part of helping others with their needs, both physical and spiritual,” he says. Billy, a Vance County native and resident, served six years on RHI’s board of directors. Today he mans the application and phone desk a day each week and, as needed, assists with fundraising and delivering materials to work sites. 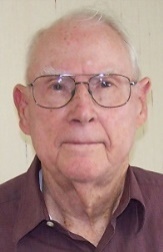 Billy retired in 1990 after 30 years with the North Carolina Department of Agriculture. He managed several agricultural research stations, including those in Oxford, Clinton, Salisbury and Rocky Mount. A member of Raleigh Road Baptist Church, he teaches the Adult Sunday School Class and served as association Sunday school director. He served as deacon and Sunday school director in other churches as his family moved around the state. He is a former active-duty U.S. Navy aviator and is retired from the Navy Reserve. Billy and Nancy have been married for 58 years and have two children, two grandchildren and three great-grandchildren. In his leisure time, Billy says he enjoys woodworking and gardening.